Do you do you like to sing, act, dance and perform? The best way to learn is through Art, Science, Music, and Movement. During this weeklong camp your child will take an explorative adventure through the cosmos. Your child will learn about the planets, stars, and the mysteries of space each day with dance, music, art, and experimentation. A camp to entice all senses and fully engage your young child’s innate sense of curiosity. Children must be fully potty trained in order to attend. Class Dates: June 24-28, 9-10:30 a.m. Does your child like to sing, dance, act, and create? This half day program gives your child the opportunity to find the performer within them, by exploring dance, acting, singing, and creating multiple art projects. The week will end with an in-house presentation on the last day. Class Dates: July 22-26, 9-12:30 p.m.
Have you ever dreamed about performing on Broadway? In this intensive you will learn skills in your quest to become a Triple Threat. You will have the opportunity to work on your singing, acting, and musical theater dance techniques. Musical Theater: Acting segment students will learn to use their voice, improvisation, and movement to enhance their acting performance. Though role playing, character development, and imagination, your young actor will learn how to push their acting skills to a new level. Musical Theater: Dance segment students will work on their dance skills by learning a warm up routine and some fundamental musical theater dance moves. The students will learn fun combinations executed to Broadway style music. 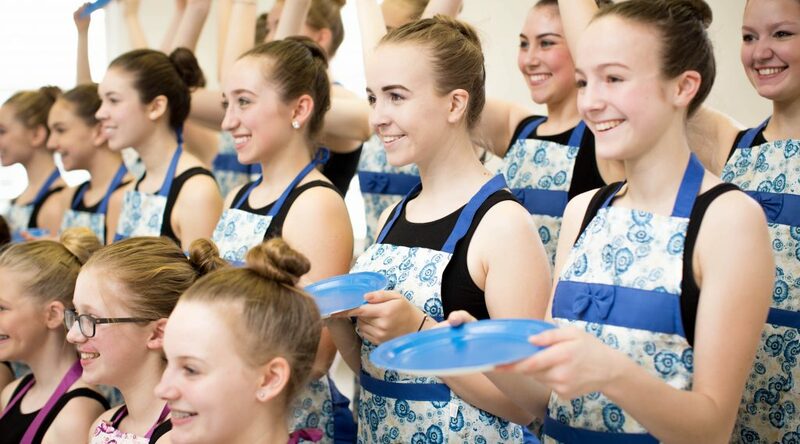 Class Dates: July 22-26, 9-2 p.m.
Do you have a high school student that loves to perform? In this week-long workshop, the students will learn the process of stage production. The students will be given repertoire from numerous genres of theatrical performances including musical theater with vocal instruction. Part of the day will be dedicated to the art of stage design. A small inhouse showcase will be presented the last day to see how your student’s stage and scene work comes together and show you what they have learned. Class Dates: July 29-August 2, 9-2 p.m.